UVMSSC provides members with access to Season Passes at the cheapest available rates all Fall until our deadline in early November. Passes can be bought using credit/debit cards in the Clubhaus (first floor of the Davis Center) or while we're tabling around campus! It's difficult to get bored at Sugarbush as they offer a little bit of everything. Sugarbush is very popular among UVM students (2nd to Stowe for most passes sold) and offers a laid-back atmosphere. In recent years, Bush has gained a reputation in past years for having the most fun and creative terrain park around. Sugarush offers two different peaks for riders to enjoy, and there are variations of their pass that are available to UVM students. Recently purchased by Vail Resorts, Stowe Mountain Resort is the largest and most developed resort in the area. If you're looking for an experience similar to skiing out west, Stowe offers a wide variety of terrain for all skiing/riding levels and tons of backcountry terrain. Jay Peak is our northernmost resort, meaning lots of snow and lots of Quebs. Jay is home to the only aerial tram in the area, making it extremely easy to ski top-to-bottom runs all day. While it may get a little cold up there, Jay's backcountry powder skiing rivals any other mountain in Vermont. With the tagline "Ski it if you can", Mad River might as well be called the Alta of the East. With some of the gnarliest skiing on the east coast and a 'no snowboarders allowed' policy, MRG offers a local-centric atmosphere that is often drowned out by larger more developed resorts. 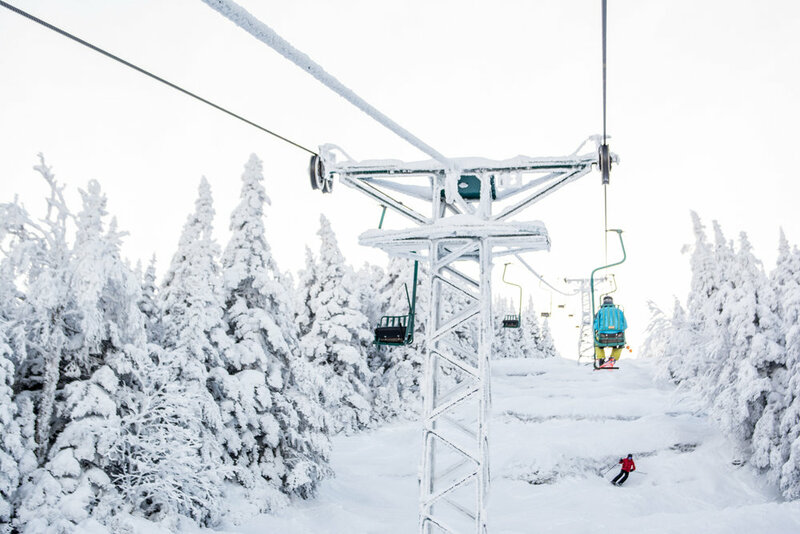 Located just on the backside of Stowe, Smuggs offers fantastic skiing and riding for those looking to beat the crowds at Stowe. With a more laid-back atmosphere, skiing/riding Smuggs will make you feel like a true local. Additionally, this is a great mountain to ski or ride if you’re newer to the sport, as we offer Learn to Ski and Ride Days here during second semester! Are you planning to take on a heavy class load this winter? If so, Bolton may be the place for you. While it may be smaller than some of the other resorts we sell passes to, Bolton is unique in that fact that they offer night skiing. 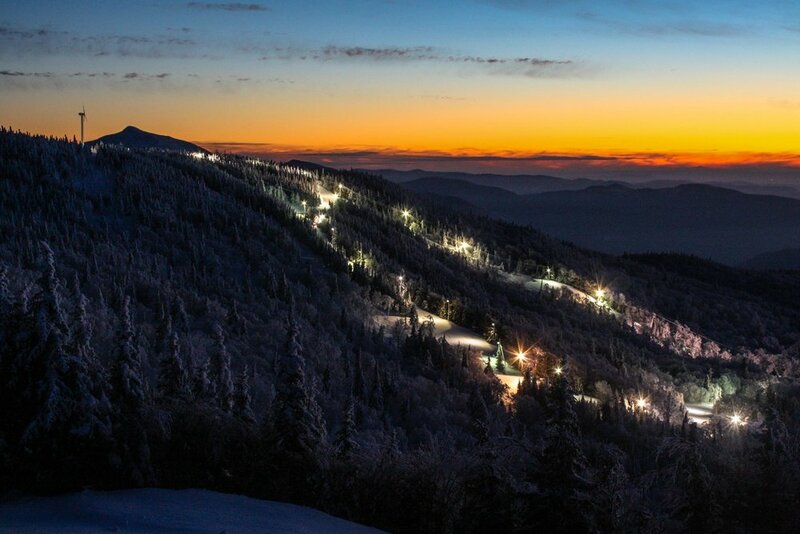 If you haven’t skied under the lights before, it’s an epic experience and an awesome way to end any day! UVMSSC provides our members access to FREE round trip transportation to all of our partnered mountains (excluding Bolton Valley) every Saturday and Sunday of the season! All busses pickup at Patrick Gymnasium at 9:00 am and depart the mountains at 4:00pm to head back to Burlington. Members must bring their membership card as proof of membership for bus access. Morning shuttles arrive at Trinity campus at 8:25am, proceed to the Jeanne Mance dormitory at 8:30am then to Central Campus (picks up under the bridge to the library), and drops students off at Patrick Gym at 8:45. Buses from Patrick Gym will depart at 9:00am sharp. We highly suggest arriving to your bus pick-up location at least 15 minutes prior to departure so as to insure we leave campus by 9 and get a full day of skiing in!